There’s a little bit of this mum in all of us – tired, emotional, stretched and desperate for a child-free weekend. 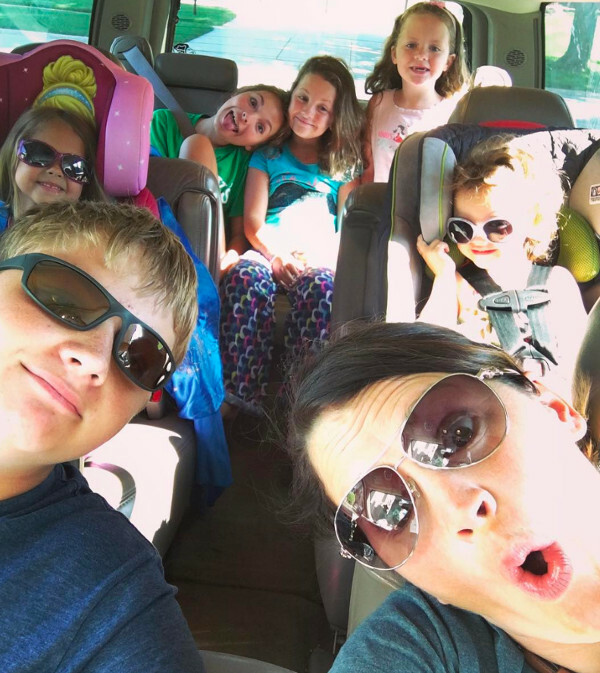 Being the considerate partner she is, Meghan Maza Oeser decided to give her husband some handy hints for his weekend of solo parenting with their six kids. Gems like not letting the threenager fall asleep in the afternoon (parenting 101 right there). Nod in agreement, and forward this one to your partners – there are some golden nuggets of advice in this Facebook post for every dad. It’s pure parenting gold. There’s no getting around the dinnertime wrangle. Just who will eat what, and who will change their mind when they see what the others are eating is all part of the fun. An incredibly dangerous time when the children are fed, and limping towards bedtime so may well sneak off to the land of Nod, thus knocking the edge off their weariness and prompting late-night antics. Welcome to the nightly bedtime dance. It includes the nightgown waltz, the thirst-beyond-measure quickstep and the bed-hop tango. “Don’t even ATTEMPT anything but a nightgown for Penny. And if you cannot find a nightgown for Penny, keep…looking. She’ll ask for her Minnie Mouse nightgown, but once you put it on, she’ll scream in agony because the sleeves are CLEARLY ripping her…arms off. Just find her Elsa one. Chances are, it’s dirty…but so what…so is she. I can’t remember the last time I put soap to that one. “Quinn, Harper, and Bailey will go down seamlessly. Just wait. As they lie in their beds, they’ll then realise that their tiny mouths are on…fire, and they’ll act as if they’ve just walked 800…miles through the Sahara. They will come down…one by one…every god damned five minutes…for water. Don’t let ANYONE use Quinn’s pink Elsa cup. Congratulations – you made it through the night! Meghan’s hot tip for her husband? Coffee. Lots and lots of coffee. It’s basically a write-off. Meghan imparts her wisest piece of advice – don’t bother trying to get anything done. Take a read for yourself, it’s pure hilarity. Bottoms up Meghan, we salute you and all mums!